Winter is a beautiful, relatively untapped time of the year for a romantic and cosy winter wedding. However, without the right preparations, your loved ones may spend the day and night shivering away and dreaming of a hot shower and their electric blanket! Here are some of our top tips for a cosy winter wedding. It is essential to keep your skin and lips well hydrated in the lead up to your wedding. This will ensure no dry, chapped lips or scaly, flaky skin in sight when your big day arrives. Stock up on some high quality face creams, body butters and lip balms, and don’t forget to use them on the day! Which colour palette for Winter speaks to you? Ice blue, silver and white is a timeless colour combination or have your guests thinking warm thoughts with amber and rust colouring. 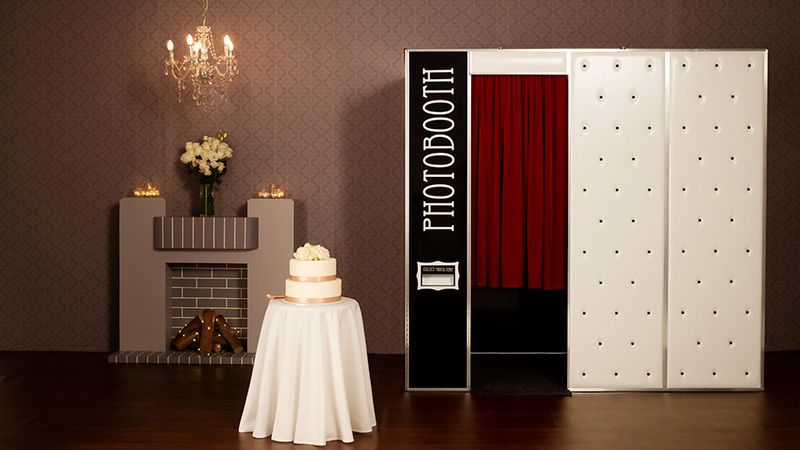 Don’t forget to incorporate your photo booth into your colour scheme! 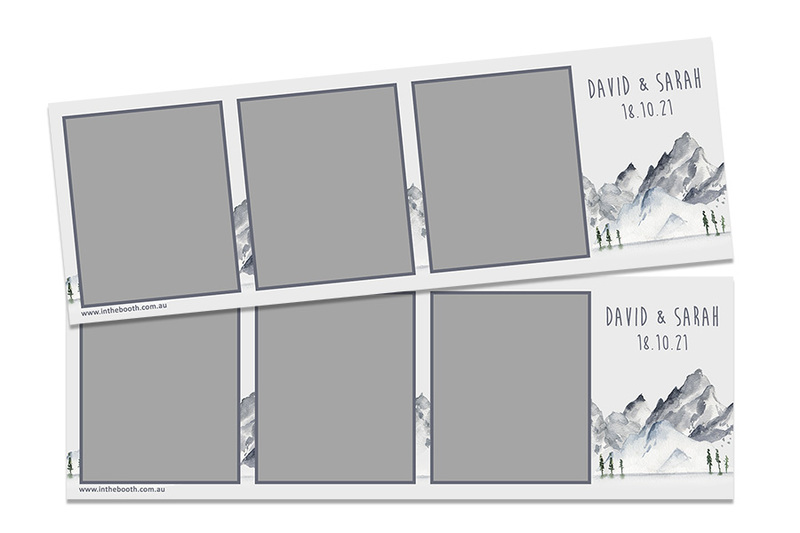 Your backdrop and instant print design are the perfect way to ensure your guests take home a touch of your winter wedding with them. Don’t forget, it’s always warm when you’re cuddling up in the photo booth! Both yourself and your bridesmaids will want to look fantastic, while also still feeling warm and comfortable. If you’re planning for long gowns, thick tights or stockings underneath can go a long way towards ensuring your legs and feet don’t get cold. 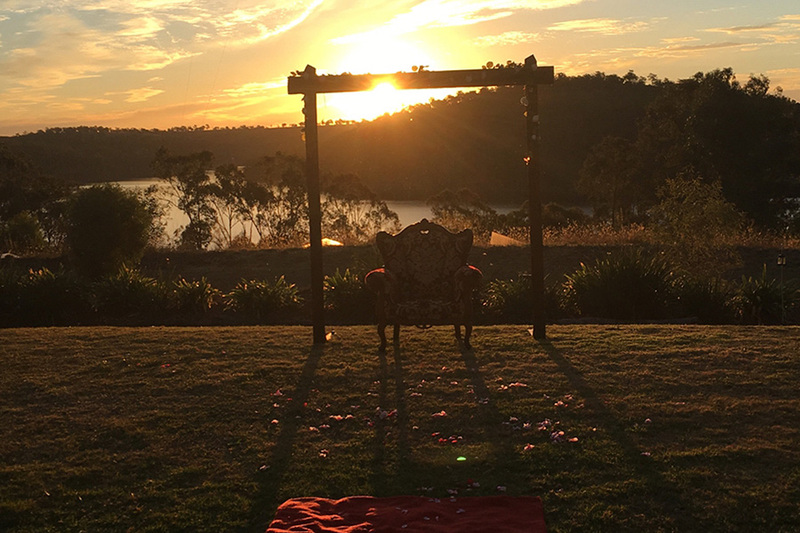 Depending on where in Australia your wedding is being held, long sleeve dresses can be fantastic for adding a touch of warmth, or they can contribute to overheating if the day time is fairly warm or your venue is well heated. Removable boleros, cardigans, wraps and capes are a fantastic addition that can be worn or removed as required. No one wants cold feet on their wedding day (literally or figuratively!) As you lose a lot of body heat through your feet, consider closed-toe shoes for yourself and your bridesmaids, or even a cute pair of boots. When it’s time for the shoes to come off, but you don’t want cold feet on the dance floor, consider some fun mis-matched socks for your bridesmaids as a thank you gift. Have a number of small blankets or throws rolled up and displayed on shelves or in a tub for your guests to use if they do get a bit chilly during your reception. Guests that have packed light or left their jacket at home will thank you for it! Blankets draped over bench seating or on the back of guests chairs is an inexpensive way to add to the theme of your day without breaking the bank. Borrow love-worn crochet blankets from Mum, Nan and friend’s linen cupboard collections and they’ll be sure to inspire some memories amongst your guests. Greet your guests as they enter the wedding reception with a fragrant glass of mulled wine or a hot chocolate made with Baileys or Kahlua to warm them from the inside out. Add an assortment of warming drinks to your bar menu – spiced rum and Hot Toddy’s are a popular choice! Perhaps consider a tea, coffee and hot chocolate station that is available for your guests throughout the night. Embrace the cooler weather and pack your menu full of hearty comfort foods such as soups, stews, casseroles and pot pies. Talk to your wedding venue for some great suggestions. If you’re self catering, check out Pinterest for awesome winter share platters or ‘over the fire’ meal ideas. For dessert, you can’t go past a chocolate fondue in cold weather! With the sun setting earlier in winter, take the opportunity to up the romance factor with an abundance of candles and twinkling lights. Perfect setting for a winter wedding! Your photographer will have plenty of suggestions for cuddled-up poses that keep you warm and create some intimate wedding day portraits. A denim jacket over a bridal gown can look gorgeous if you’re going for that country vibe! If you’re stuck on what to give your guests as a small gift, consider some lovely handmade hand warmers in a fabric that matches with your theme. For those that are a little less crafty, most pharmacies sell Hot Hands air-activated single use Hand Warmers that could be packaged with some assorted teas. Don’t forget they’ll have their evening bags and suit pockets stuffed full of photo booth strips as well! Winter can bring with it some undesirable weather, so it’s best to always be prepared with a plan B. Wet weather option if you are opting for any part of your day to involve the great outdoors. Having some nice matching umbrellas on hand will protect yours and your guest’s hair and makeup in the chance of rain, and keep you as dry as possible as you head towards shelter.